Let 2014 forever be known as the year Chromebooks truly came into their own. 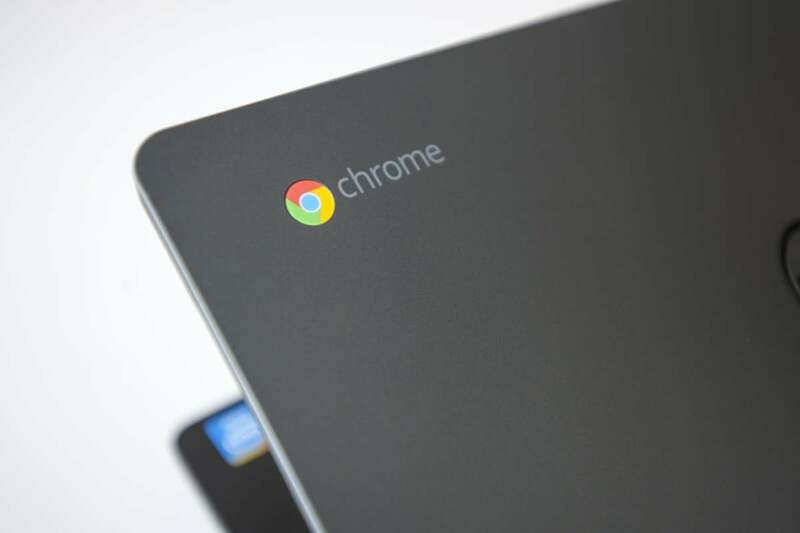 From PC manufacturers to Adobe and even Microsoft, the entire PC industry has started taking Chromebooks more seriously, and Google’s continued tweaking of the operating system makes Chrome OS far more capable today than it was a few short years ago. 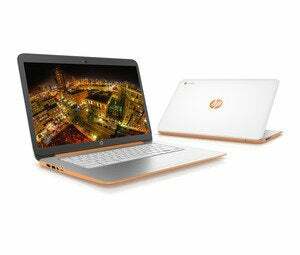 Yes, Chromebooks made dramatic strides in 2014. Here’s how. Laptop manufacturers —or “PC OEMs”—leaped onboard the Chromebook bandwagon in droves this year. When I purchased my first Chromebook, I grabbed Samsung’s ARM-based Chromebook, which was widely regarded as the best one at the time. Now, I’m not sure what I’d buy! There are so many good options. There are Intel Chromebooks and ARM Chromebooks galore, and Intel wants to be inside every Chromebook. Chromebooks with basic 1366x768 screens up to Chromebooks with 1080p displays. You can get a touch screen, or not. You can buy a Chromebook from Samsung, Acer, HP, Toshiba, Asus, or Lenovo. They’re not available just on Amazon anymore, either—brick-and-mortar computer stores have them, too. Why yes, it can run Photoshop! “Chromebooks are nice little laptops, but they can’t run Photoshop,” is a scarlet letter that’s dogged Chromebooks since the beginning. Well, it’s no longer true, as Adobe has brought Photoshop to Chrome OS. It works by running the heavy Windows Photoshop app on Adobe’s servers and allowing you to interact with it via a browser window (removing any stress to your Chromebook's CPU and battery). It’s currently in beta and only for education customers of Creative Cloud, but it should be coming to everyone eventually. A variety of new Chrome apps have improved their offline support. Google itself seems to be taking the platform more seriously, too: There’s now a Google Play Movies and TV app that lets you purchase videos and watch them offline. It’s great for plane trips. 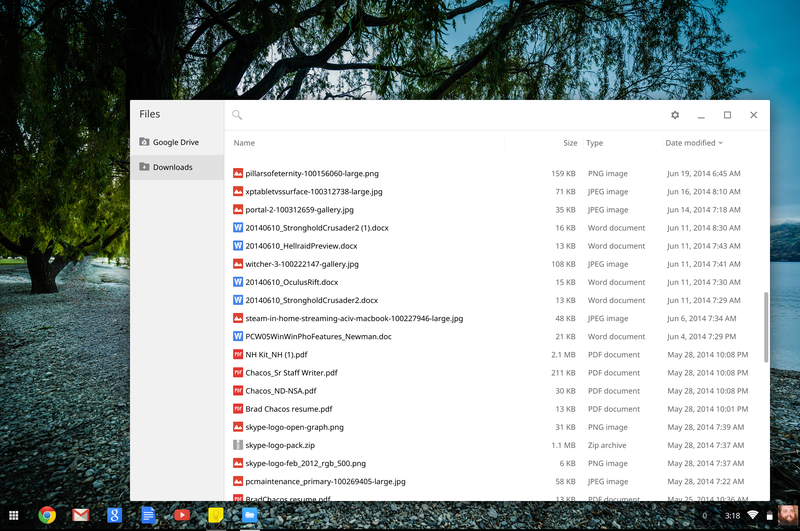 You can browse local files on a Chromebook using Google's native Files app. It’s not all peachy here, of course. I’d like to see Google focus a lot more on a single apps platform instead of flitting from project to project. Currently, you can get offline support via a Gmail Offline app that functions as a web page distributed through the Chrome Web Store, Google Calendar’s “make available offline” function that requires no extra app, and a Google Keep app that functions as a “Chrome app” that runs in its own window. And that’s just Google’s own software! Chromebooks can now run Skype, thanks to a hack that lets you run any Android app on a Chromebook. But there’s even better news! Microsoft is bringing WebRTC technology—a standard to integrate voice and video chat capabilities directly inside browsers, no plugins required—to Internet Explorer, and working on a web-based version of Skype that uses WebRTC instead of the current proprietary plug-in. In a nutshell, this means Skype’s web app should eventually run just fine in every browser, no hacks required—even on a Chromebook. Hang in there! Chromebooks are taking over the education market, too. Los Angeles made big news when they decided to purchase iPads for its schools. However, the iPad project was a failure and they’re now switching to Chromebooks (and inexpensive Windows PCs). Tablets are nice and all, but there’s no substitute for a proper keyboard and an interface with windows. 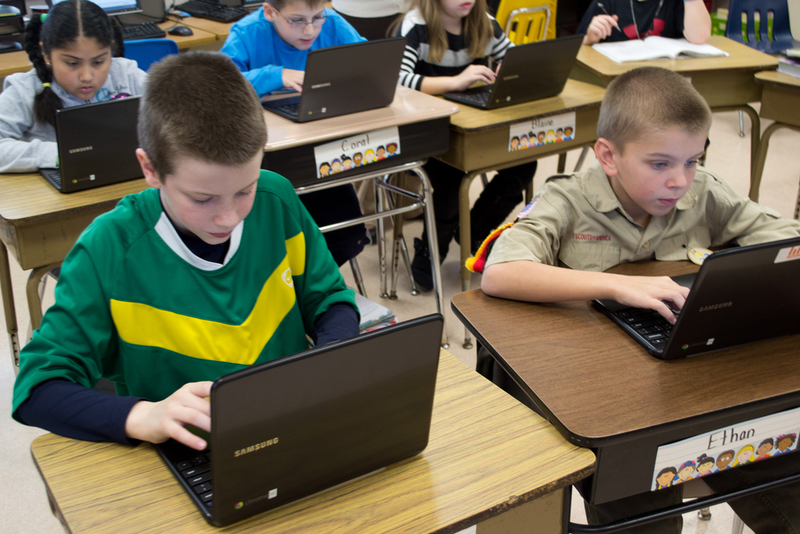 More and more schools are turning to Chromebooks for their computing needs. Chromebooks are approaching a 50 percent share of the US education market, according to Google’s Sundar Pichai. They’re cheap, practical, shareable, and easily manageable. That’s bad news for Microsoft, as generations of students growing up with Chromebooks won’t necessarily want Windows, especially because so many services today are creating feature-rich websites for PC use, rather than standalone programs. "First they ignore you, then they laugh at you, then they fight you, then you win." This statement is often attributed to Gandhi, though there’s no indication he actually said it. But it could have been said by someone talking about Chromebooks. Microsoft initially ignored Chromebooks, and even Chrome itself—Steve Ballmer once called Chrome’s market share “a rounding error.” Eventually, Microsoft began laughing at them in public with ads featuring the Pawn Stars cast. 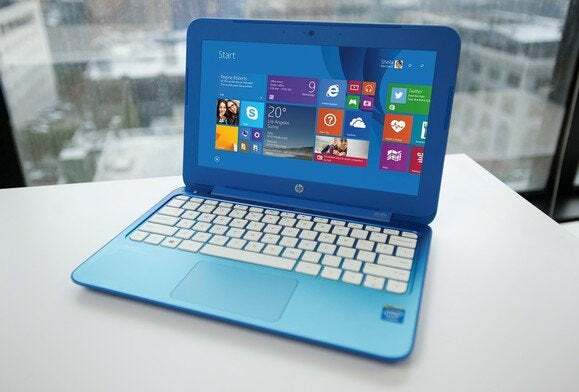 Now, Microsoft has taken up arms and launched a price war against Google, pushing a variety of cheaper laptops in the $200 to $250 range, such as the HP Stream. Make no mistake: Microsoft is worried about Chromebooks, and it should be. HP's Stream 11 is the first Windows-based 'Chromebook killer' to hit the streets. The new Microsoft loves Chromebooks? The Windows side of Microsoft is terrified of Chromebooks, anyway. But the popular wisdom is that we’re seeing a new Microsoft under new CEO Satya Nadella. That’s why Microsoft has released great touch versions of Office for Android, iPad, and iPhone, while Windows users begrudgingly await the long-promised touch version of Office for Windows and keep using their ancient Office app for Windows Phone. There’s no indication Microsoft will start putting Chromebooks ahead of Windows the way it's now putting iPad and Android ahead of Windows for some projects, but the new Microsoft is more likely to support Chromebooks. In addition to the current work on a web-based version of Skype, we’ve seen the Office Online apps added to the Chrome Web Store. Chromebooks aren’t perfect, of course. Even with the holy trinity of Windows software—Office, Photoshop, and Skype—now available for Chrome OS, the “Chrome app” platform nevertheless needs more software, especially from Google itself. Chromebook Pixel aside, the overwhelming majority of Chromebooks still fall on the affordable end of the spectrum, with virtually no mid- or high-end options available. And Chromebooks still aren’t the ideal laptops if you need to be offline for extended periods of time and need everything to run locally. But the overall tech landscape is shifting to favor web applications that support Chrome. If you’re a Chromebook user—or want to be one, but had something holding you back—it’s been a very good year. Here’s to whatever 2015 has in store.